Yes, we are going to contradict ourselves here. We were running Finahub in beta mode for about a year only to realize the mistake later. In reality, it is because we didn't have the guts to say that our product is just amazing. Maybe we need to blame Google for this. 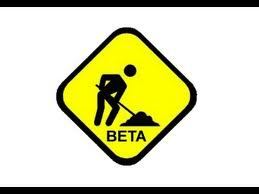 They came out of beta only after a long stint of so many years of running in beta. Beta passes the buck to your customers. If it is not good enough for public consumption don’t give it to the public to consume. Take responsibility for what you’re releasing. Put it out and call it a release. Otherwise, you’re just making excuses. Don't worry we are inspired by Getting Real from 37signals.com. We recommend it as a must read for all fellow startups out there.